There’s a simple reason we’re the leading fish food company in the UK– we’re committed to better fish nutrition. By combining wholesome ingredients with the perfect mix of nutrients, we’re able to give your fish a complete and balanced diet. It’s how we help care for your fish, inside & out. 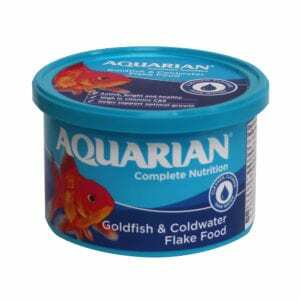 The formula for our Complete Nutrition Goldfish & Coldwater Flake Food is specifically created to provide a complete and balanced diet for goldfish and fancy goldfish. 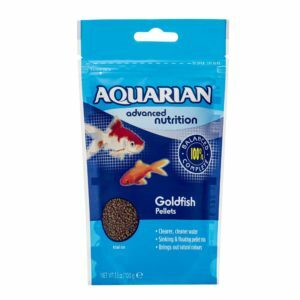 The formula for our Complete Nutrition Goldfish Pellets is specifically created to provide a complete and balanced diet for goldfish and fancy goldfish. 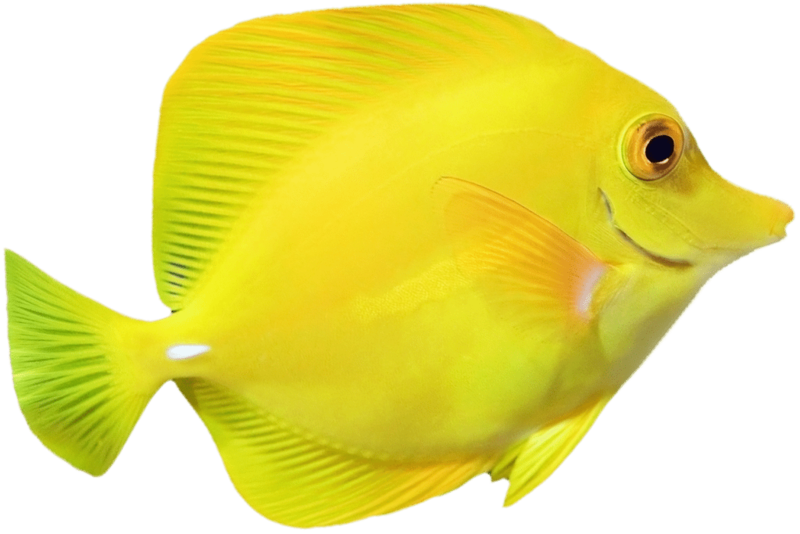 The formula for our Complete Nutrition Tropical & Temperate Flake Food is specifically created to provide a complete and balanced diet for all types of tropical fish. 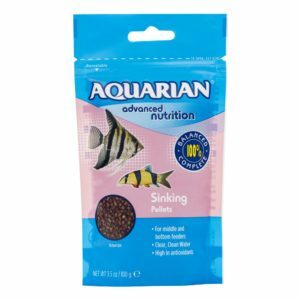 The formula of our Complete Nutrition Sinking Pellets is specifically created to provide a complete and balanced diet for all middle- and bottom-feeding fish. 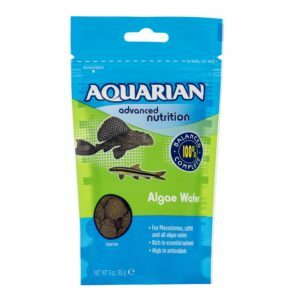 The formula for our Complete Nutrition Algae Wafer is specifically created to provide a complete and balanced diet for all algae-eating fish. 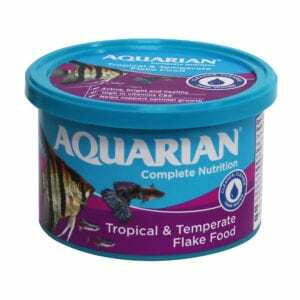 The AQUARIAN Holiday Feeding Block contains food pellets that are made of nutritional ingredients to feed all tropical, goldfish, and marine aquarium fish while you’re on holiday. 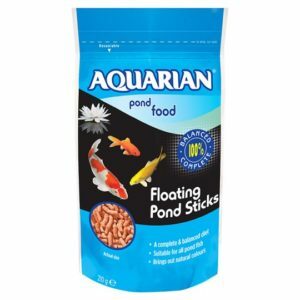 The formula for our Complete Nutrition Floating Pond Sticks is specifically created to provide a complete diet for all pond fish. 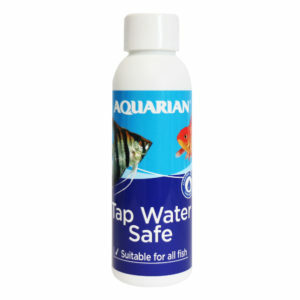 The AQUARIAN Tap Water Safe instantly removes chlorine and neutralizes chloramines making tap water safe for fish. 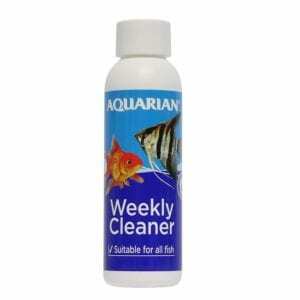 The AQUARIAN Weekly Cleaner contains live bacteria to destroy sludge in the gravel bed and helps to keep aquarium clean and healthy.